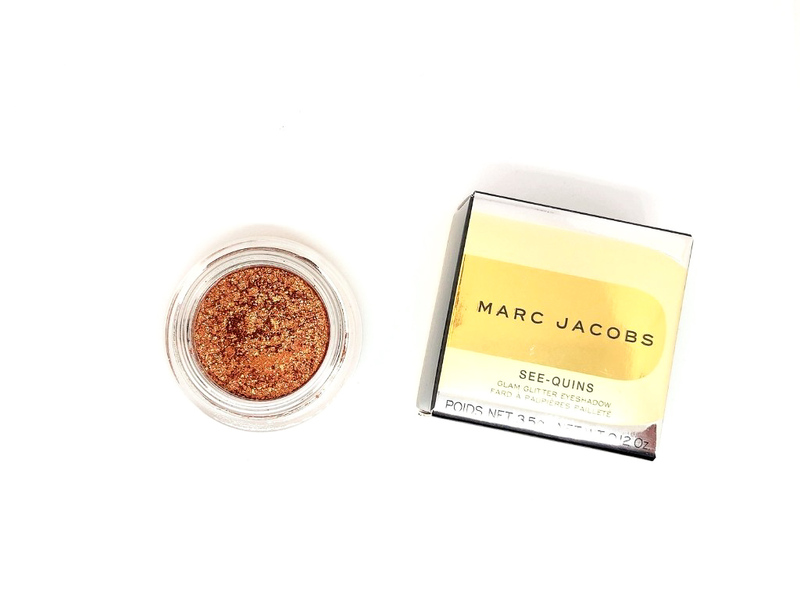 Today’s review is going to be of the Marc Jacobs See-Quins Glam Glitter Eyeshadow in Copperazzi. Did I just die and went to make up heaven? 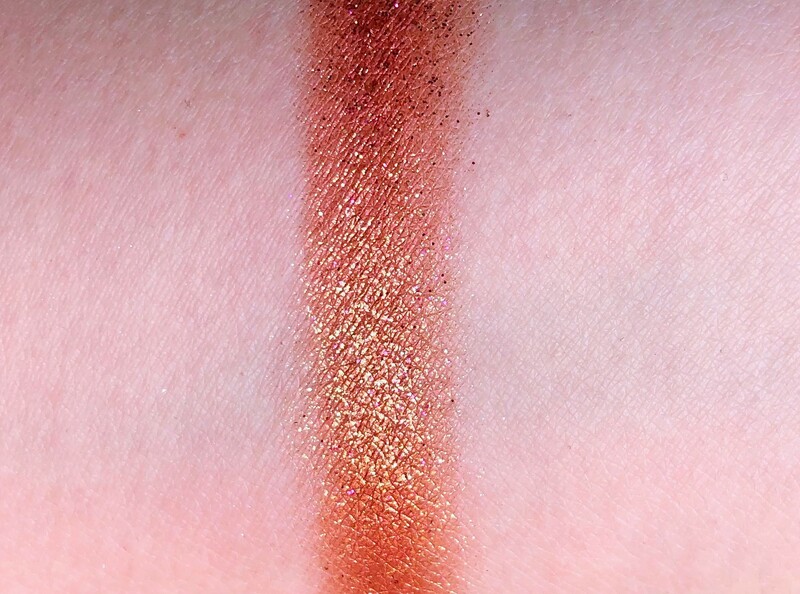 This eyeshadow is gorgeous. It’s part of their Holiday 2018 Collection and this shade is one of six, I would have bought more but they were sold out. These are pressed pigments and they are limited edition so I suggest you to grab at least one before it’s too late, I honestly hope they will make this formula permanent. 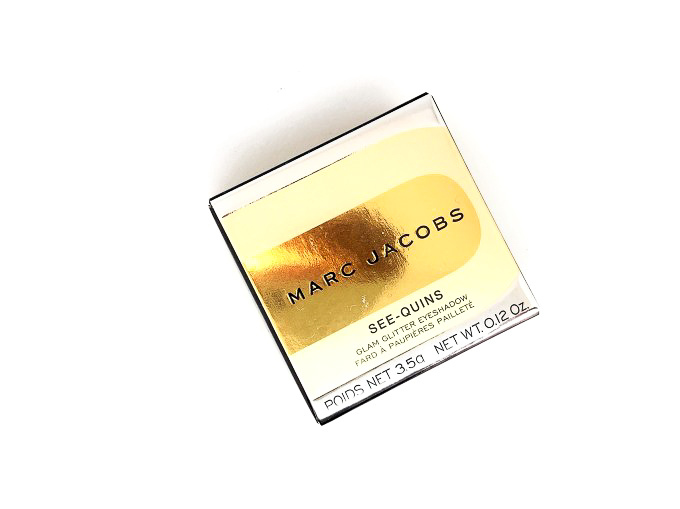 You can get it from sephora for 28$. 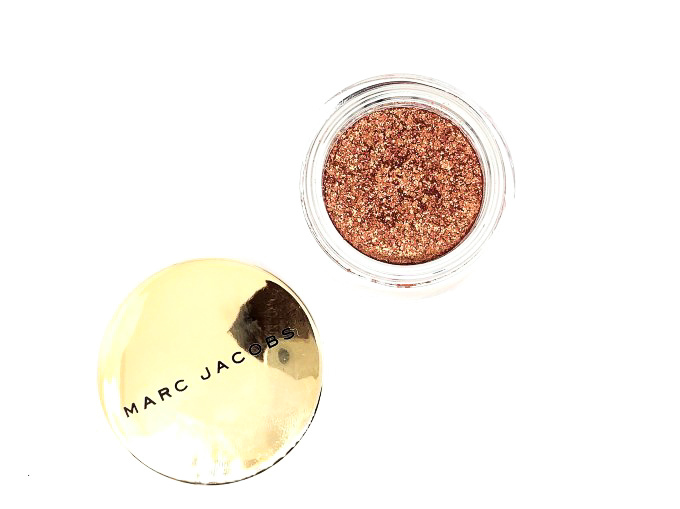 The shade I have is a bright copper with gold and fuchsia shimmer. I can’t believe how stunning the packaging is. The cardboard box where it comes in it’s gold as it is the actual pot which is made out of glass. The shade name is on the back. I think the packaging is super pretty and easy to carry around, you just have to make sure you close it and keep the plastic cover or the product will go everywhere since after all is a pressed pigment. 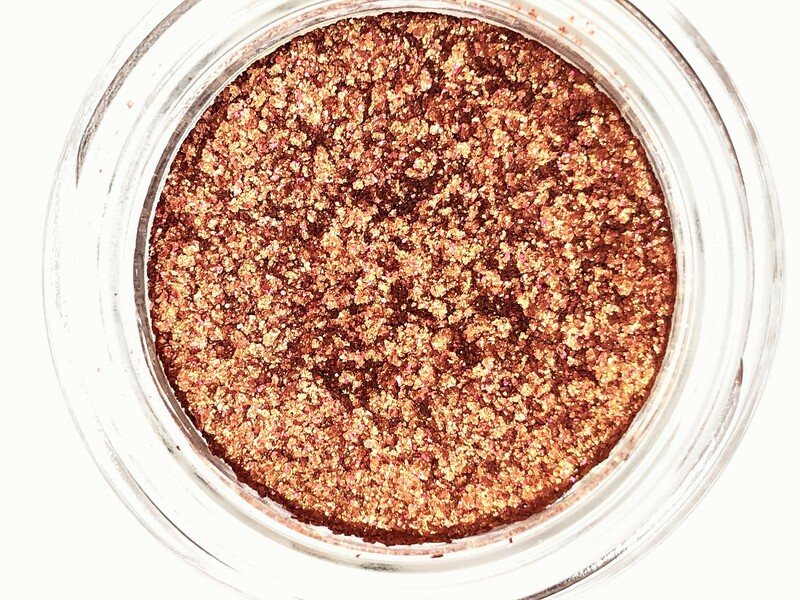 This shadow is very intensely pigmented but a bit crumbly, I suggest you to use a primer underneath or something sticky that the shadow can grab to otherwise you are going to have a lot of fall down. Guarantee that with this kind of shadow you are going to have some fall down anyway at the end of the day so it’s up to you to see if it’s something that bothers you. 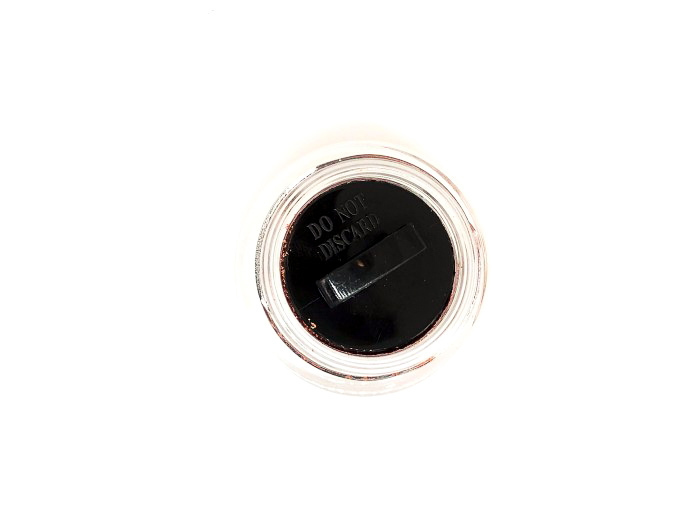 The best way to apply it is with your finger, this way it will adhere better to the eyelid. On me it lasts around 4 hours without fading. I don’t know why even with a primer it tends to crease so from now on I’ll use it as top coat over other shadows. 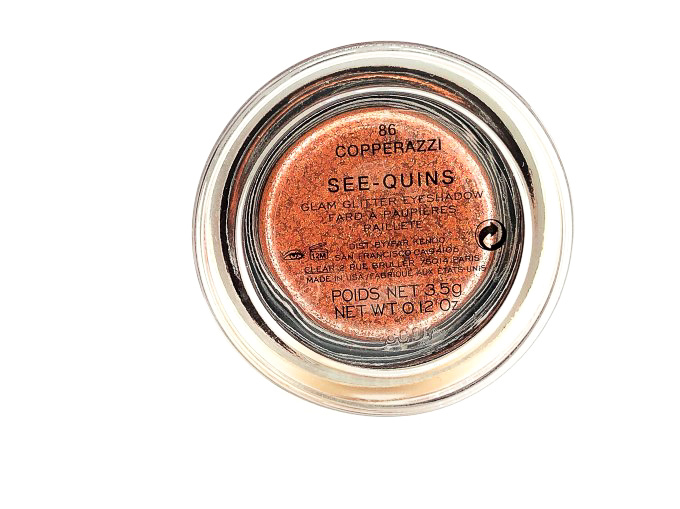 I love this eyeshadow, the formula could use some improvements but since it’s a pressed pigment the fallout and crumbliness are expected. I wish it lasted a bit longer but apart from that I love it and if you find a shade you like you should get it especially since is a limited edition. it looks absolutely gorgeous!! I wish I could buy more Marc Jacobs products :p! I’m pretty sure I loved everything I tried, but I agree I wish I could try more! Anything with glitter and you have me sold girl! 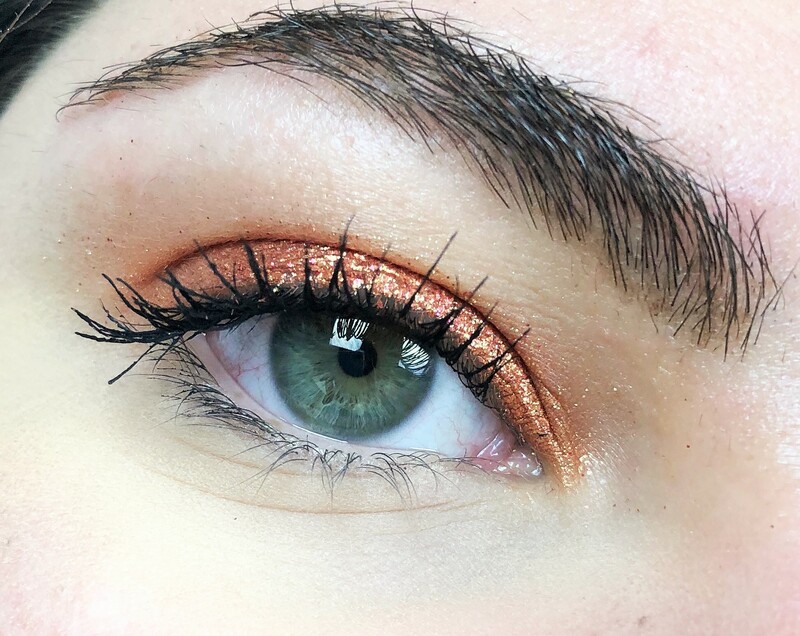 I’ve always worn natural colors on my eyelids. Yet, I am loving all the attraction this would cause. 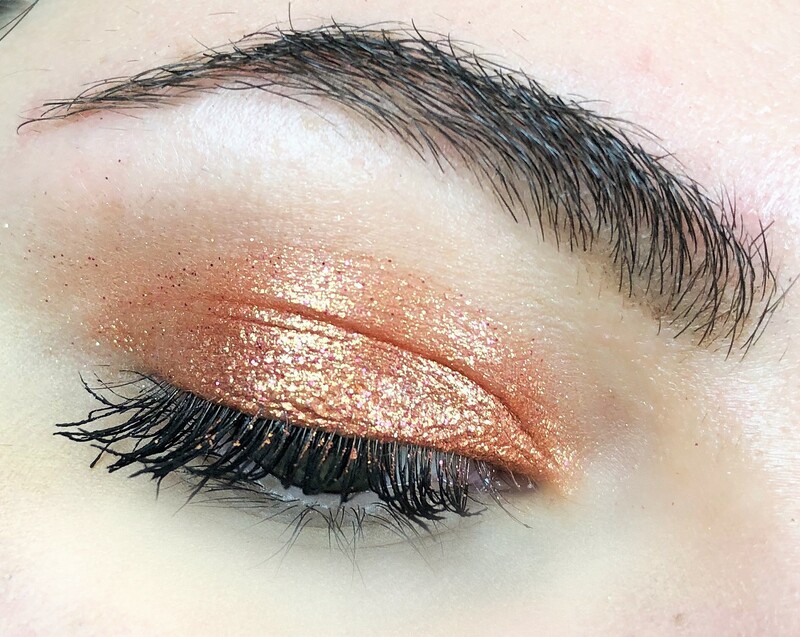 I have been wanting to look at glitter reviews since forever … Have you found any glitter eye shadow that do last longer? The packaging on this is certainly very pretty. 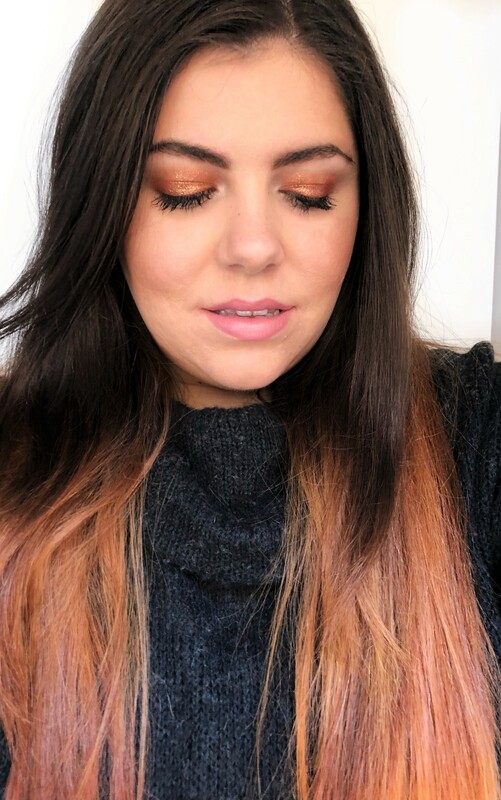 The stila ones I reviewed a couple of weeks ago are really nice and long lasting!